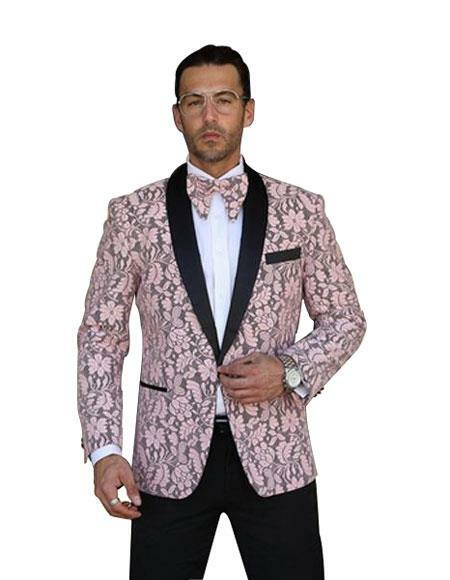 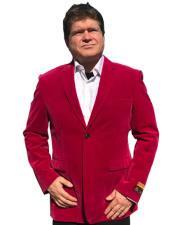 If a pink tuxedo is what you have chosen to fashion this time, we wish to help you out with a few fashion tips so that you don't end up looking feminine. 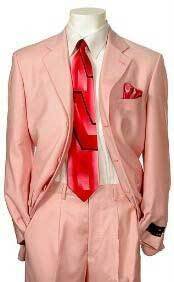 As everyone is aware of the fact that pink is seen as a color that reflects womanly look, we find a lot of men avoiding it for the same reason. 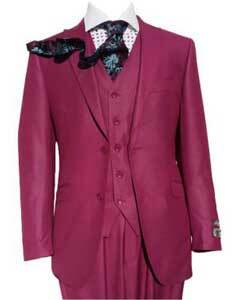 But to counter that we have some manly combinations. 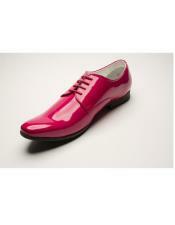 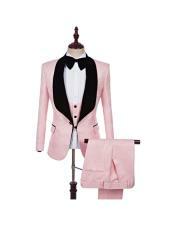 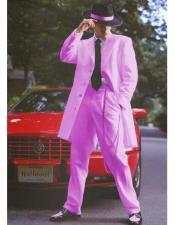 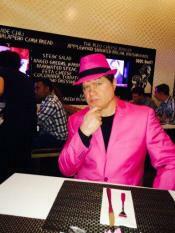 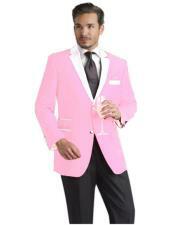 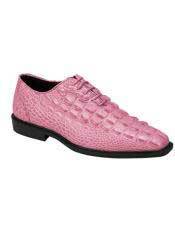 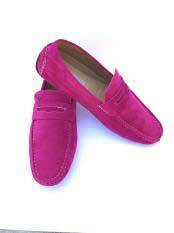 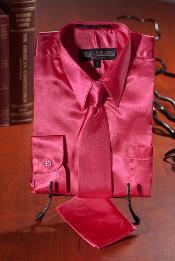 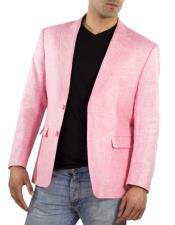 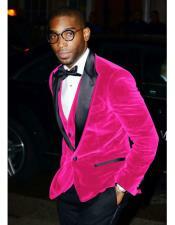 You can combine colors like black with pink or white with pink they look good on any men without looking feminine. 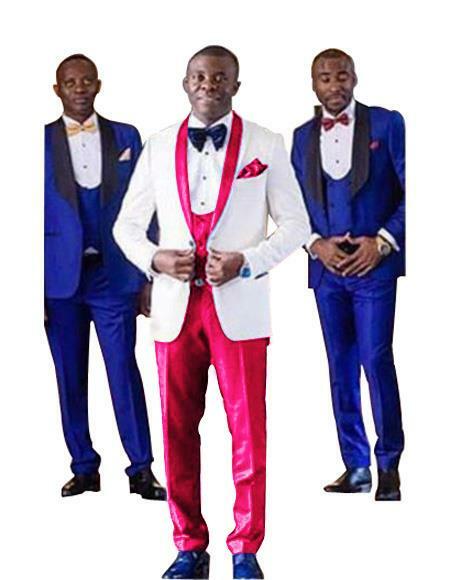 Likewise, we are able to see a lot of men going for the same color just to get appreciation from their women fans or girlfriends and sometimes life partners. 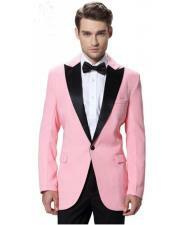 While wearing a pink tuxedo is pretty uncommon practice, we can surely make it a fashion statement by the shade that we select. 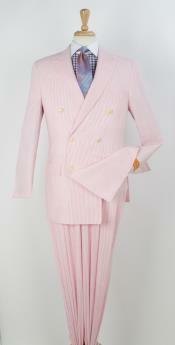 A proper baby pink might not suit a lot of us but it is a good thing to make a lot of trials before settling on the right shade that matches you. 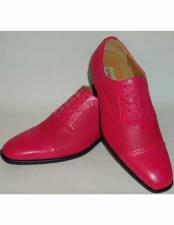 Some of us might have the look to carry atypical pink color while many of us might not be able to handle it well. 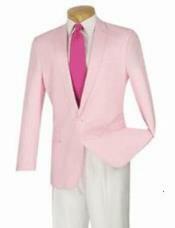 A good way to wear pink is by complimenting the color with colors like white so that the color and its effect are nullified to a certain extent. 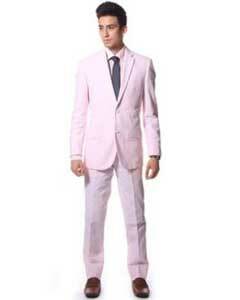 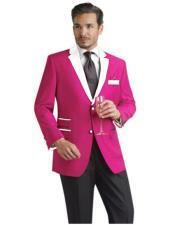 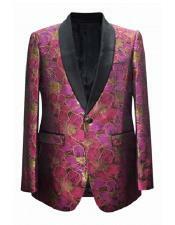 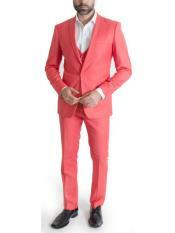 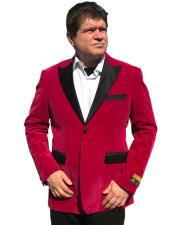 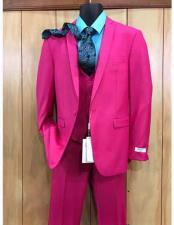 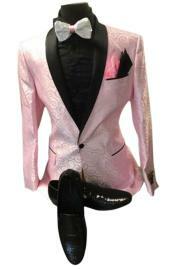 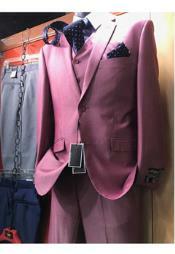 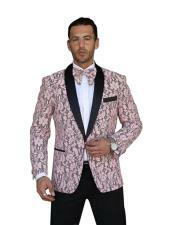 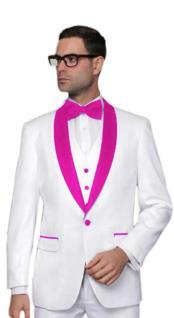 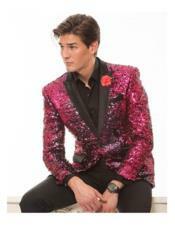 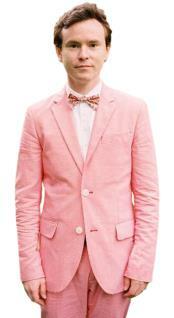 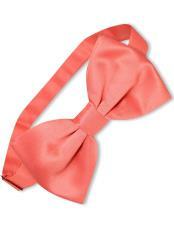 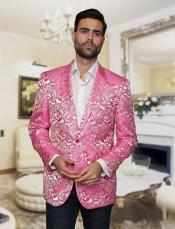 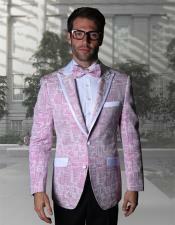 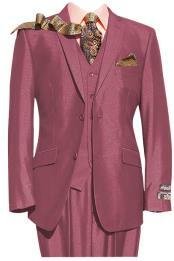 You don't have to wear pink tux with some heavy patterned shirt or a chunky accessory that can make you to stand out. 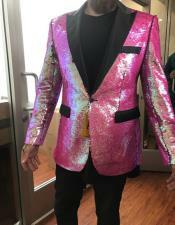 Apart from concentration on the tux, it is wise to so for mild accessories and shoe selection that does not make you look like a 70s rock star. 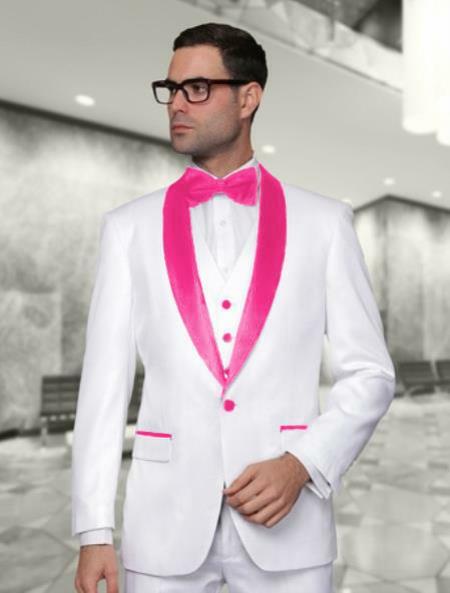 You will definitely have to stay away from bright shades of pink for a tux as that is sure to eat away all the attraction and leave your face to blank out from the frame. 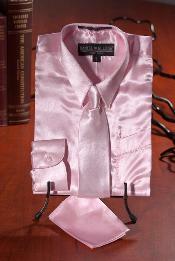 We know that women love pink and it is a recent study that had encouraged men to wear pink if they like to flatter their women. 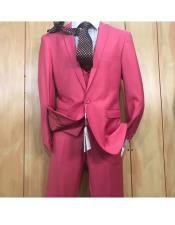 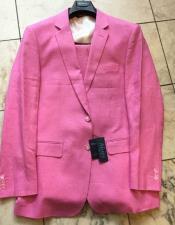 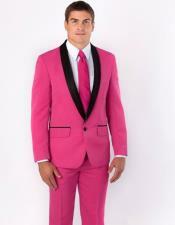 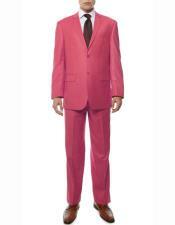 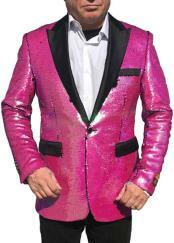 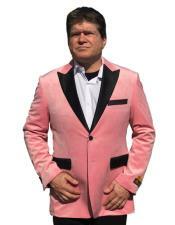 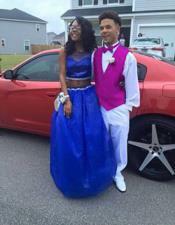 Pink tuxedos come in great colors like light pink tuxedo, hot pink tuxedo, blush pink tuxedo, fuchsia pink tuxedo / jacket and more.